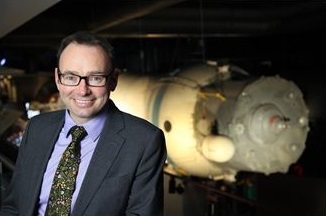 Chas Bishop, Chief Executive at the National Space Centre. The National Space Centre in Leicester is one of six UK science centres chosen to receive a £13m funding boost to inspire more visitors to explore and discover science. Catalyst in Widnes, Dundee Science Centre, Eureka! Mersey, Glasgow Science Centre, and Techniquest in Cardiff are the other centres receiving the funding after presenting exciting plans to connect with audiences and communities who don’t currently visit science centres or engage with learning in science, technology, engineering and mathematics (STEM). The funding will help each centre create new learning activities to help reach audiences, improve their facilities and develop sustainable business models. The new funding will be delivered through the Inspiring Science Fund, a joint initiative by Wellcome and the Department for Business, Energy and Industrial Strategy. The Inspiring Science Fund aims to support underserved and underrepresented audiences, delivering science learning and engagement opportunities that are accessible to all through Science Centres around the country.